Shanya is using Smore newsletters to spread the word online. PLEASE COME TO MY LAUNCH PARTY!!! 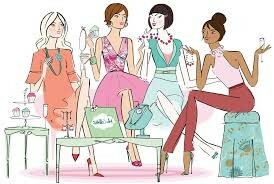 STELLA & DOT OFFERS STYLES FOR EVERY PERSONALITY - WHETHER YOU ARE CLASSIC, EDGY, SIMPLE OR EXTRAVAGANT...WE HAVE IT ALL! 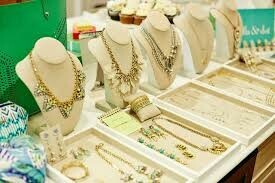 The celebrity loved jewelry line is available to you now! Who do you know that loves jewelry? DON'T MISS IT! 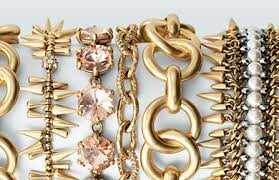 SO VERY FABULOUS ARE THESE PIECES!! I WOULD BE HONORED IF YOU WOULD COME TO MY LAUNCH PARTY...AND PLEASE BRING ALL OF YOUR MOST FUN AND FABULOUS GIRLFRIENDS WITH YOU SO WE CAN HAVE AN OUTRAGEOUS TIME! FEEL FREE TO POP IN ANYTIME BETWEEN 3-6PM ON SATURDAY DECEMBER 12TH, 2015!!! SATURDAY, DECEMBER 12TH ANYTIME BETWEEN 3-6 PM!!! PLEASE STOP BY...EVEN FOR A FEW MINUTES! THANK YOU IN ADVANCE FOR COMING - IT MEANS ALOT TO ME!!! !